With its Gothic red brick churches dotting the skyline and the blue Baltic lapping at the harbor, Stralsund is simply an unmissable stop on a tour of northern Germany. Once the second most important city in the Hanseatic League, Stralsund is almost perfectly preserved and became a UNESCO World Heritage Site in 2002 along with its sister city Wismar. Wandering around the city you’ll find scenic squares with colorful gabled houses, narrow streets that open to scenic vistas, and ornate remnants that hint of Stralsund’s 155 year Swedish occupation. Though the city’s history is an eventful one, what has remained unchanged is the silhouette of the historic center. 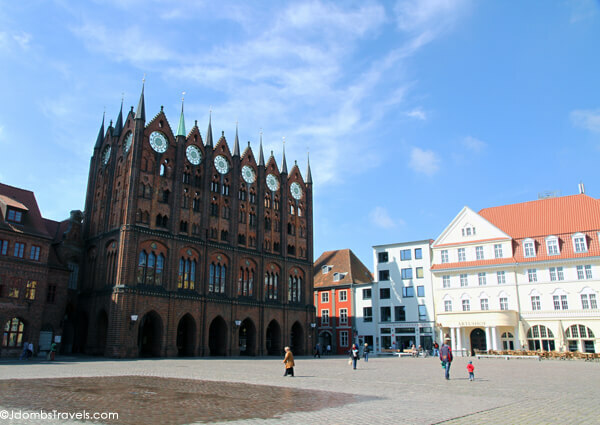 The heart of Stralsund’s Old Town is the Alter Markt (Old Market Square) with its 13th century Gothic brick City Hall. One of the oldest buildings in Stralsund, the magnificently decorated City Hall is also one of Stalsund’s most splendid sights. Though its top floors are still used for the government offices that rule the city today, the bottom is home to a variety of shops just as it would have been home to merchants during the Hanseatic Trade. 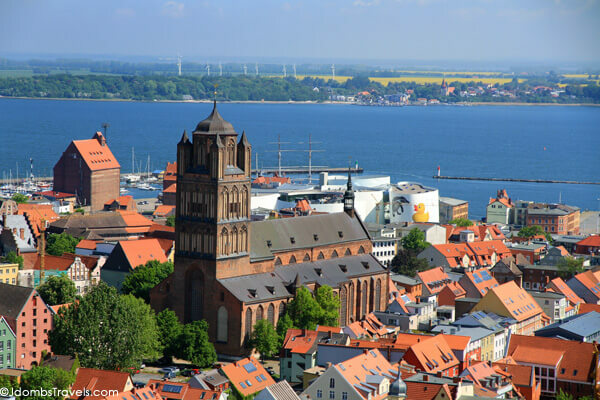 Like Wismar, Stralsund too is characterized by its Gothic brick churches that make up the skyline and made it so easily recognizable to the cog ships sailing between Hanseatic cities on the Baltic and North Seas. Between 1549 and 1647, St. Mary’s was once the tallest building in the world and it is well worth climbing up the dizzying steps to the top of the 104 meter tall bell tower. St. Mary’s has quite a history all its own. Originally built before 1298, the bell tower collapsed in 1382 and was rebuilt in 1478. Then the steeple tower blew down in a major storm in 1495 and was rebuilt. The new taller steeple tower was struck by lighting in 1647 and burned down. It was rebuilt as the Baroque dome we see today. 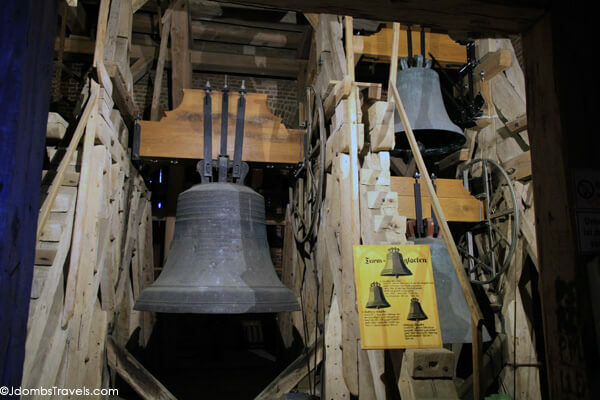 Climbing up the bell tower, you can get up close and personal with St. Mary’s bells. Not to worry though, they only ring after the church’s tower is closed to tourists for the day and on Sundays during service. St. Jacob’s Church was the last of the major parish churches to be constructed around the beginning of the 14th century. It stood at the divide of the old and new cities. Today St. Jacob’s serves as a center for cultural events, theater, concerts, and exhibitions. Badstüberstraße is one of the most photographed streets in Stralsund and walking down the narrow cobbled alley, it’s easy to see why. The colorful houses, four of which are under monument protection, were once the public bath houses of Stralsund during the Middle Ages. Most are now private residences, though at least once a year the owners kindly open them up for the public to take a peek inside. Though the houses of Badstüberstraße can’t be visited every day, the Gothic gabled house at Mönchstraße 38 is. As part of the Museum of Cultural History, the former merchant’s house is open as a museum and is one of the most important surviving original houses of the Hanseatic era in Northern Europe. Over 600 years of history has been preserved in which you can visit three stories and see everything from how the foundation was braced up to keep it from collapsing in on itself to historical furniture, photographs, and books. Stralsund’s harbor has an incredibly vibrant atmosphere with its old warehouses and view of the islands of Rügen and Hiddensee. Fish mongers still sell smoked fish and one moored boat even serves as a fish and chips restaurant. If visiting in the summer months, one of the best ways to take in the silhouette of Stralsund is on a harbor cruise. Stralsund, though a vibrant city, is never far from nature. 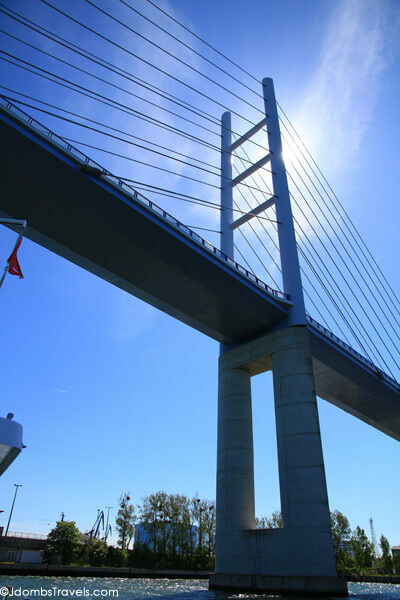 The Rügen Bridge, Germany’s largest bridge, connects Stralsund with Rügen Island. Fitting really, as Rügen Island is also Germany’s largest island. With white sandy beaches, idyllic bays, rugged cliffs, and lush beech forests nature is only a short drive or boat ride away from Stralsund. Stralsund’s resident penguins have a great view! Back in Stralsund and located on the harbor is OZEANEUM, an aquarium and educational center about the Baltic Sea and our oceans. Even the penguins have quite the scenic view of the Old Town and St. Nicholas Church, Stralsund’s oldest parish church. 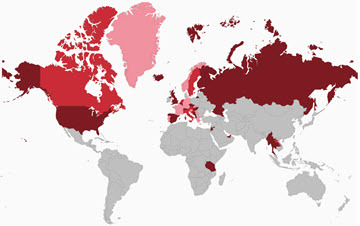 International flights are available to Hamburg or Berlin. Stralsund is around a 3 hour train ride from Hamburg or Berlin. All the sights of Stralsund can easily be seen by foot. OZEANEUM is open daily January – May from 9:30am – 7pm, June – September from 9:30am – 8pm, and October – December from 9:30am – 6pm (closed December 24 and limited hours on December 31). Admission is €16 per adult and €7 per child ages 4 – 16. 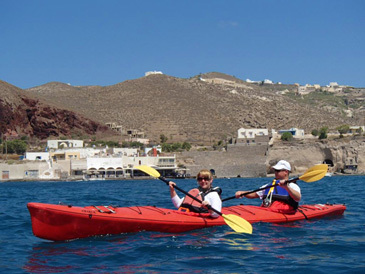 Harbor cruises are available April – October. We recommend staying at the historic 4-star Scheelehof Hotel. Each room is unique and maintains the historical elements of the gabled houses that make up the hotel complex. There is also an onsite spa, gourmet restaurant, and gastropub. We hadn’t either Bram and both Stralsund and Wismar were very pleasant surprises on our Germany trip. 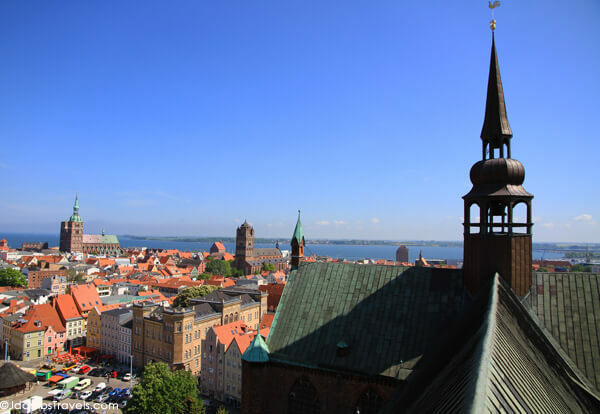 If we had to pick favorites of all our stops, we’d say Wismar and Stralsund for sure. And it seems like we all are fascinated by old beautiful buildings – houses, churches, etc. I too love to admire them in all the cities I visit!